Hi all! And a Very Happy Friday to you! Hope you have all had a Super week so far..8-) Mine's been Super Busy, doing a bit of catch up since my return from Visiting my Mom. She's made some great improvements that have tremendously Surprised all of us, her Dr.'s included, Yay! So I just want to thank everyone who has been keeping her in their thoughts and prayers! It's so Appreciated! 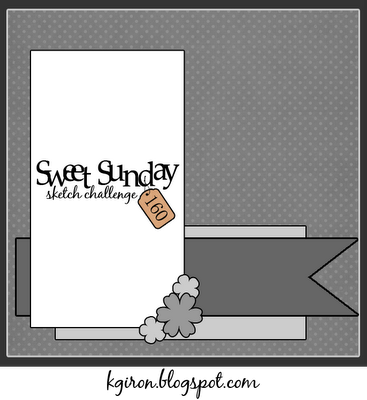 8-) Well today I'm back with a Super quick post to share my latest creation, inspired by Miss Karen's Fabulous Sweet Sunday Sketch Challenge #160..
Great guy card!! Love that cork on here and those buttons and brads! Outstanding! What a perfect fathers day card - the cork and brads are perfect!! How COOL is this awesome card!! Those wooden buttons and brads - the cork & measuring tape - WOW Shannon! You really nailed this father's day card! I'm so glad your mom has shown improvement, and I will keep her in my thoughts and prayers for a complete and speedy recovery! Have a fabulous weekend! Fab Father's Day card Shannon! Love the cork layer and ruler piece! so creative! Wow! this is fab Shannon! what a wonderful design for Father's Day card. 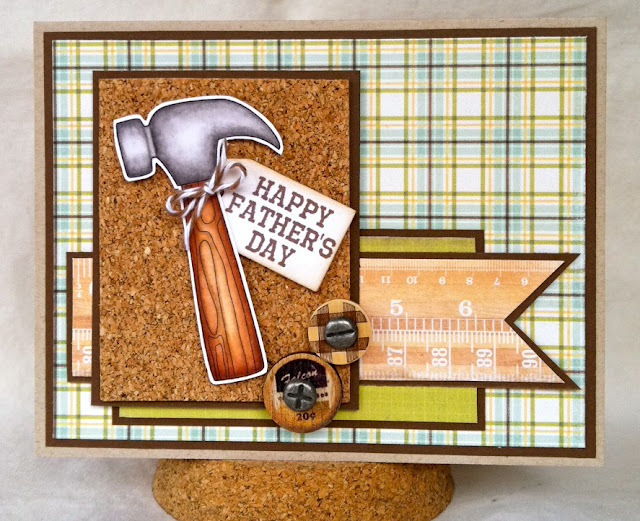 I love the cork board and hammer and ruler!! and those vintage buttons with screw brads are just genius!! I love it! Fantastic masculine card Shannon! I love that image and all of your fun papers!! Awesome design! This is such a great, Father's Day card, Shannon! LOVE those brads to pieces! And your cork and twine add just the right amount of texture! Delish! Awesome man card! Love EVERYTHING about it! Love this card, the cork is the perfect touch!!! Nicely done! Such perfect cutting and what a cute design and papers for the theme! Love it with the cork board! Wonderful card Shannon - one great Father's Day card. I am so glad that your Mom is doing better. I am playing catch up since being gone - you are so cute and your smile certainly is contagious!